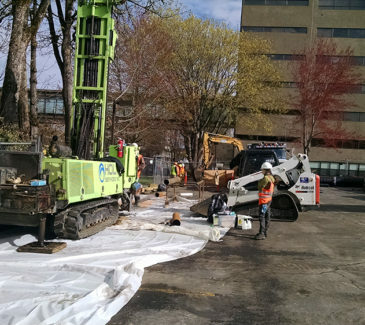 AEC was contracted by SAIF Corporation to perform the installation of a Cut-Off Collar and Groundwater Recovery Sump (GRS) System at SAIF’s campus in Salem, OR. The project was being performed in an effort to control petroleum-contaminated soil and groundwater at the site. 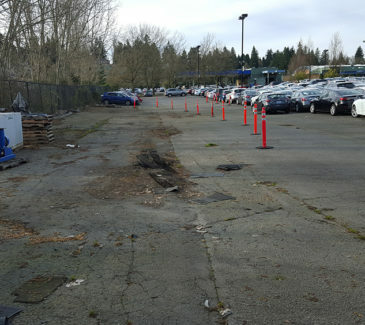 AEC’s scope began with acquiring permits, performing utility locates, and providing the fencing, signage, barricades and all pertinent safety equipment within the project area. After mobilizing, the AEC crews excavated and installed cut-off collars in both the north and south areas and oversaw all associated drilling activities. 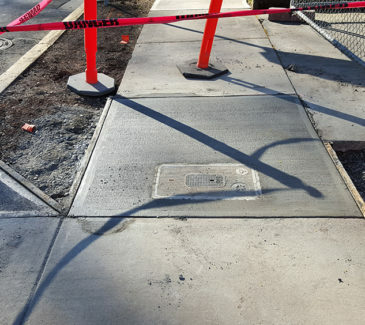 Once complete, the cut-off collar area was backfilled with a Controlled Density Fill (CDF) concrete material. AEC trenched the GRS discharge line approximately 40 lineal feet to the sanitary sewer in the roadway. Following excavation of the GRS system trench, we installed all necessary pumps according to the plans and specifications and disposed of all petroleum contaminated soil that was removed from the GRS trench at the Coffin Butte Subtitle D Landfill in Corvallis, OR. 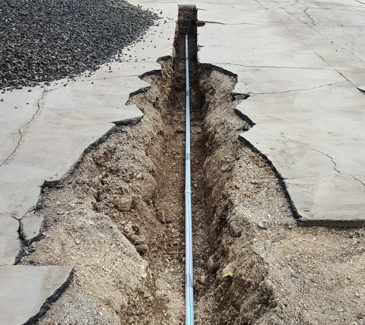 AEC also dug a small electrical trench approximately 235 lineal feet and managed an electrical subcontractor during installation of the new conduits prior to backfilling the trench with imported crushed rock. 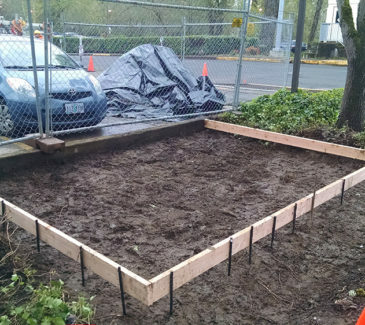 Next we excavated and prepared forms in order to place a new electrical pad. During the course of our work, we pumped and contained approximately 8,000 gallons of groundwater that was disposed of along with the 115 tons of contaminated material at the Coffin Butte Landfill. 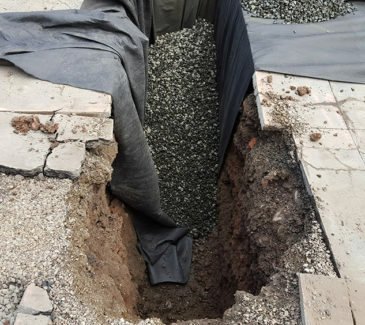 Finally, all asphalt and concrete that was originally saw cut and removed in order to excavate the trenches was restored to match existing conditions.